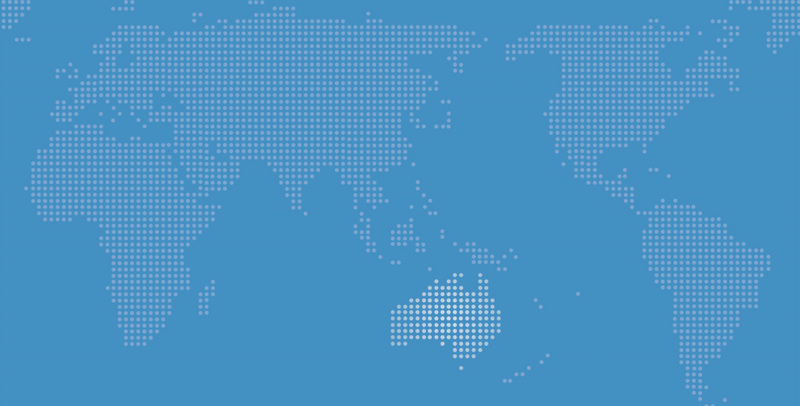 On 15 March, New Zealand Minister of Foreign Affairs Murray McCully gave an address at the Lowy Institute for International Policy outlining New Zealand's international agenda for 2016. Today I would like to give you an overview of New Zealand’s international priorities for 2016, provide an update on our work on the United Nations Security Council, and talk about our role in the Pacific. But first of all, the reason I’m here in Australia. Tomorrow, I will be in Canberra for the six-monthly consultations with Julie Bishop. Given our shared values and interests, there is much that we as Foreign Ministers have to discuss. The agenda is extensive, and includes international developments from the Middle East through to East Asia, and then to our immediate neighbourhood in the South West Pacific. The depth and breadth of our meeting reflects the fact that New Zealand has no more important partner than Australia. Australia is New Zealand’s largest economic partner, so I don’t need to make the case to New Zealand audiences for why Australia matters. I suspect the significance of the New Zealand market is not fully recognised here in Australia. That reflects the reality that we are “only” your fifth largest export destination. Yet, it should be appreciated that we are especially important to some big sectors of your economy. 17,000 Australian businesses export to New Zealand each year. That compares to 8,000 exporting to the US and 5,000 exporting to China – your single largest export market. What that tells you is that New Zealand is especially important to your small and medium sized enterprises – across all states and all sectors. Tourism is booming in Australia - just as it is in New Zealand - but do you know where most of your visitors are coming from? New Zealand is your largest source of inbound visitors, with over 1.2 million New Zealanders visiting every year. Your businesses and shareholders have roughly A$100 billion invested in New Zealand. New Zealand has A$55 billion invested over here. This is a product of the Single Economic Market that governments on both sides of the Tasman have worked to progress for over three decades. There are around 550,000 New Zealanders living in Australia. We can argue over who owns Crowded House, Russell Crowe and Quade Cooper. But we think of the CEOs of three of your four big banks as New Zealanders. It is not only the New Zealanders at the big end of town who are making a difference. Most New Zealanders here are pulling their weight. For instance, they earn more than the average Australian - and therefore pay more tax. It may surprise you to know that more people are currently moving to New Zealand from Australia than going the other way. The movement of people reflects the free-flow of goods, services and capital, and is good for both our countries. We are both Asia-Pacific nations, with regionally focused outlooks – and for good reason. Some of our major exports such as dairy, wine and meat, are in high demand in Asian economies. To put it plainly - we sell the products that the emerging ‘middle classes’ in Asia want. By 2020 the number of ‘middle class’ consumers in Asia is expected to triple to 1.75 billion people. This presents a massive opportunity for both New Zealand exporters and also our tourism operators. But our focus on the Asia-Pacific goes beyond trade and extends to political and security considerations. Instability in the region now affects New Zealand’s interests more directly than ever before. The regional organisations designed to build political, security and economic cooperation, such as APEC and the East Asia Summit, are vital for New Zealand. These organisations build the region’s collective sense of well-being, trust, and resolve to address challenges to regional stability and prosperity. Heightened tensions in the South China Sea highlight the intersection between economic and security interests in the region. A particular cause of increased strain has been reclamation and construction activity and deployment of military assets in disputed areas. We were pleased to hear President Xi Jinping’s commitment last year that China would not militarise new features. We would like to see all claimants move further to demilitarise disputed areas. As a country with one the largest EEZs in the world, the UN Convention on the Law of the Sea is particularly important to us. So are the international legal principles of freedom of navigation and overflight. They are vital for New Zealand’s livelihood. We support the role arbitration can play in resolving complex disputes and we support states’ rights to access dispute settlement mechanisms. The Philippines has taken this route with its case before the Arbitral Tribunal and a ruling is expected shortly. We expect all parties to respect the result of the Tribunal’s ruling. A great deal of focus has been placed on the role and aspirations of China as the major economic power in the region and emerging world power. In that respect I am both a realist and an optimist: a realist because the emergence of a huge economic power was always going to come with ambitions and aspirations to match, and some of these inevitably compete with established players and interests. Managing that process is the great challenge facing ASEAN regional diplomacy. But I remain an optimist because China has huge domestic challenges to meet. Sustained economic growth is critical to bringing about the internal transformation that is their key goal. And that sustained economic growth can occur only in an environment of peace and stability in this region. At the centre of the international rules based system sits the United Nations Security Council, of which New Zealand is currently a non-permanent member, following in the footsteps of Australia’s two year term. There are some things that only the Council can do - like giving formal effect to the Iran nuclear deal. While much work remains to build the sustained trust between Iran and the international community over time, getting an agreement at all represents a huge achievement, and reflects great credit on those most directly involved. But sadly the divisions in the Council today make this a rare achievement. The Council is not dealing with the most pressing global security issues of our time. Take the example of Syria: a slow motion train wreck that has resulted in over a quarter of a million deaths, a huge humanitarian disaster and a refugee crisis that has now engulfed Europe, not to mention the rise of ISIS and the widespread recruitment of foreign terrorist fighters. For five long years the UN Security Council has been paralysed. Now, finally, we are seeing some positive movement. But the current truce is fragile. Some will no doubt point to the work the Council does in relation to Syria, Yemen and other trouble-spots, in asserting the case for humanitarian access. Whilst those efforts are valuable and constructive, they are not a substitute for the Council carrying out its responsibility to stop the conflict. We want to see a Council that is able to put its political weight behind a permanent ceasefire in Syria. We also want to see the UN Security Council shoulder its responsibilities on the Middle East Peace Process. It has been seven years since the Council has even passed a resolution on this question. We keep being told that “the time is not right” and “the parties are not ready. But while we wait, the situation on the ground gets worse, violence has escalated, and the viability of the two state solution is disappearing as a consequence of Israeli settlement activity. This question now looms as a serious challenge to the credibility of the Council. We recognise that as elected members we all have to play our part. That is why, last year, frustrated by the Council’s lack of resolve, New Zealand circulated a draft resolution to try to find a pathway to bring the parties back to the negotiating table. Faced with the reality that a resolution would not succeed we agreed to wait. Now the situation on the ground has deteriorated and the settlement activity has continued. As an elected member of the Council, we have a responsibility to make contributions. So we are again looking at draft text for a resolution, and we are talking to parties more closely engaged in the issue to encourage them to act. For the Council to do nothing, while the scope for a two state solution is completely undermined, would be a total abrogation of its responsibilities. We are also using our term to encourage a sharper focus on conflict prevention. There is something seriously wrong when we are spending $8 billion a year on peacekeeping and a further $10.5 billion providing humanitarian support for victims of conflict, but virtually nothing on the prevention of conflict. There is always, of course, the debate as to when the international community is justified in interfering in the affairs of sovereign nations. But it would be my observation that there is significant scope for the UN and the international community to engage earlier and more effectively to head off conflicts before they start. During our term on the Council we are making contributions to improving the Council’s day-to-day working methods, and the use of the veto. New Zealand has long opposed the veto. We are working to support initiatives calling for restraint in the exercise of the veto and for more effort to be applied within the Council to avoid its use. That’s why New Zealand is using its two-year term to demonstrate that we are more effective when we work as a Council of 15, rather than an elite group of five. It is in all our interests to have a stronger and more relevant Council, capable of fulfilling its intended purpose, and we will continue to play our part in realising this goal. Finally, I want to refer to New Zealand’s diplomatic and development work in the Pacific – where we greatly appreciate the excellent cooperation that exists with Australia. With large populations of Pacific peoples resident in New Zealand, and with extensive connections with the islands, we consider ourselves a Pacific nation. Added to that, the inhabitants of three separate territories in the Pacific: Niue, the Cook Islands, and Tokelau are passport carrying New Zealand citizens. It is a no-brainer then that New Zealand has an extensive network of diplomatic missions across the region, and that the majority of our development assistance is spent there. I have consistently encouraged my Ministry to aspire to be the world’s centre of excellence in Pacific affairs. It is the greatest comparative advantage that New Zealand offers in the international space: our close relationship with the Pacific. We have recently sought to leverage our experience in the region by applying our skills in small island developing states outside the region, in the Caribbean and Indian Ocean. We used our presidency month last July in the Security Council to hold an event on the security challenges faced by Small Island Developing States to give small island developing states, which constitute nearly a quarter of the UN membership, a chance to have their voices heard in the Council. New Zealand and Australia have a significant stake in the peace and security of the small island developing states in our region. By their very size, isolation and nature, our smaller neighbours often walk a thin line between success and failure. But in my view there is no reason we can’t increase this margin with targeted support that plays to the region’s strengths. New Zealand and Australia work together in the Pacific to generate development outcomes, respond to crises, and seek solutions to the challenges we collectively face. Our overarching objective is to help build prosperity and stability in the Pacific. Many Pacific nations do not have the economic diversity to handle major shocks. Today we are still counting the cost of the damage inflicted on Fiji by Cyclone Winston. Events such as cyclones can have disproportionate impacts on the smaller states in the region. And you don’t have to go too far back in time to see the impact of man-made shocks such as the tensions in the Solomon Islands, Bougainville, or violence in Tonga. These security and development challenges can have regional consequences. The most obvious being that New Zealand and Australia troops, military assets, police and funding get called upon to help pick up the pieces. And more importantly, the aspirations and quality of life of Pacific peoples are seriously curtailed. This said, it is in my view too easy to get caught up in the narrative of long-term dependence and failure in relation to the Pacific. The region has some natural assets which are capable of making a much greater contribution to the sustainable economic development of the region, provided partners make targeted investments in areas that will maximise the income from these assets and reduce costs. For the small island states in the region, reliance on fossil fuels for electricity generation is economically and environmentally unsustainable, with diesel costs at around 10 per cent of the region’s GDP and up to 30 per cent of their total import bill. For this reason New Zealand has chosen make major investments in renewable energy in the Pacific and we are also encouraging other major development players, such as the European Union and the World Bank, to get involved in this area. In March 2013 New Zealand and the EU co-hosted the Pacific Energy Summit to address these energy issues and match donors with the action plans developed by Pacific governments. The Summit resulted in a funding envelope of $635 million and kick-started over 50 renewable projects across the region. For our part, New Zealand’s Pacific energy portfolio is now in excess of $120 million in seven countries. In Tokelau, all three atolls – previously wholly dependent upon fossil fuels for electricity – are now effectively 100 per cent renewable solar generation. The Northern Cooks became effectively 100 per cent renewable last year, as did all but one island in Tuvalu. We are supporting further progress in the larger islands in the Cooks, Tuvalu and Samoa and we have renewable energy projects underway in Tonga, Kiribati, the Solomon Islands and Papua New Guinea. Another emerging focus for New Zealand’s investments in the Pacific is information and communications technology. We are working with our Pacific Island partners to bring new submarine cable connectivity to the region. World class internet is the key, not just to a successful business environment for sectors like tourism, but also in improving health and education outcomes. In terms of economic viability, along with tourism, increasing revenue streams from fisheries is essential if we want to move the Pacific away from a reliance on development assistance. The Pacific’s largest asset are the schools of tuna swimming in its oceans, which should be used to make their owners more economically sustainable than they are today. Currently the Pacific owners of the tuna fisheries receive around 14 per cent of the total market value. Many other players clip the ticket along the way, and illegal, unregulated and unreported fishing is a major drag on the potential of the resource. If we want the Pacific to be truly economically sustainable, we need the international community to cooperate to ensure that they receive a fair return from fisheries. While there has been an increase in the amount of fish caught since 2012, the value of key fisheries has fallen by just over 20 per cent. The current system doesn’t reflect the true value of the resource. This has led Pacific Governments to look for new approaches to lift returns and safeguard fisheries for future generations. At last year’s Forum, Pacific Leaders endorsed a move towards a catch-based management system for tuna by 2025. This is an area where New Zealand has extensive experience and, in addition to sharing our expertise, we have set aside $50 million to support the development of a catch-based management system in the Pacific. If we can get this right and make it work, another block will be added to the foundation underpinning the Pacific’s economic sustainability. I recognise that practical support to countries must be based on innovative thinking, and I have high regard for research think-tanks like the Lowy Institute and the role they play in providing analysis and ideas. They say imitation is the sincerest form of flattery and this month, we’ll be launching the New Zealand Institute for Pacific Research through a consortium led by the University of Auckland. Our aim is for the Institute to build a world-class research programme focused specifically on Pacific issues. It will inform solutions for Pacific development, governance, security and other public policy issues. This should give you an overview of New Zealand’s international priorities for 2016. We are focused on the economic opportunities and security challenges the Asia-Pacific region faces. We want to continue to push for meaningful action from the UNSC on a range of global issues and improve the way in which the Council works. And, we want to continue working with our partners in the Pacific to make the region more resilient and sustainable. These are areas we work closely with Australia on and we look forward to our close co-operation continuing over the coming year.